The Panamanian supermarket chain has launched an ambitious expansion plan that involves the construction of an industrial park aimed at the development of its own food brand covering bakery and pastries, meat, vegetables, fruits and dairy products. 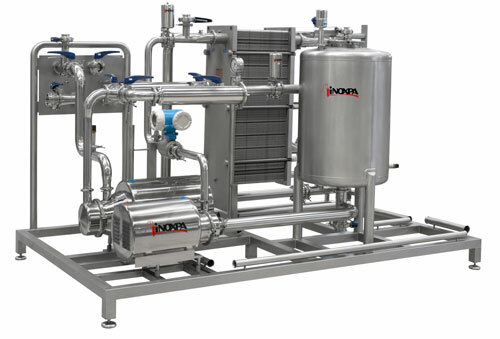 INOXPA participates in the project as a leading supplier for their dairy plant and also provides components for their bakery plant. Due to the rapid growth of the company, the project was divided into two parts; we studied the requirements for the final project and defined the skids required. The skids manufactured as part of the first phase were intended to help them increase the production of the existing facilities. Thus, the equipment manufactured in this first phase completed the existing plants to reach a daily production of 15 000 litres per day of cheese, yogurt and milk. The production volume of the plant was 5 000 litres per day. a. Increase production of the existing plant for the period needed for the construction of the new facility. b. Make the move to the new facility as easy as possible, therefore, the skids are made modular. c. Create a completely automated plant. - Milk reception module receives 22. 000 l/h of milk, filters, measures and cools the product to 4ºC. - 3 thermally insulated tanks for milk and whey storage at 4ºC. 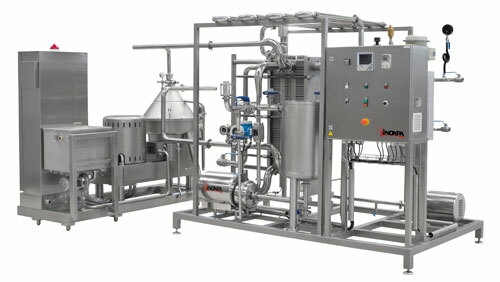 - Pasteurizer for production of 5 000 l/h of cheese, it also includes a skimming centrifuge. - Pasteurizer for production of 500 l/h of milk and yoghurt. It includes a skimming centrifuge and a two stage homogenizer. The temperature can be adjusted from 80 to 95ºC and it also allows you to choose the holding time from 30 to 300 seconds. - Blender with tank for preparation of mix used for the production of yoghurt. 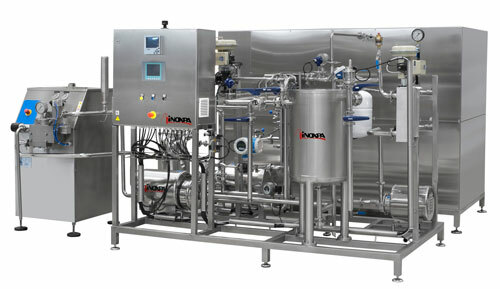 - Bottling machine for 1 000 l/h of milk or yoghurt can be adjusted to different types of bottle. - Unit for cutting the curd. - Filter for removal of particles and cooling of the whey. All skids are designed to be part of a fully automated line.